Our Specials are Always Changing! Please Check Out our Current Specials! We scan your car for free! Griffin Muffler & Brake is awesome! I just moved to town and found them here on Google. They had my car in and out very quickly (within 6 hours), and they were very upfront and honest about the work being done on my car. They have a wonderful texting system that sends you reports on your car so you can easily see all the changes and charges. I would recommend them to anyone! Great staff. Good solid work. Ive taken vehicles to them a few times. They always do a nice job of fixing things but what gets them the 5 stars is the staff. Everyone is so nice and helpful, its as if you are turning your vehicle over to family, only these guys know what they are doing. 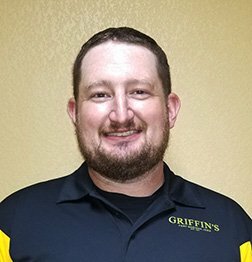 Team members at Griffin’s have completed a training and certification process to provide a Certified Female Friendly Experience that exceeds women’s expectations, becoming the only Certified Female Friendly shop in the Tri State area. 6 Months no finance charges with approved credit! Griffin Muffler & Brake Center Offers Auto Repair Services You Can Count On! 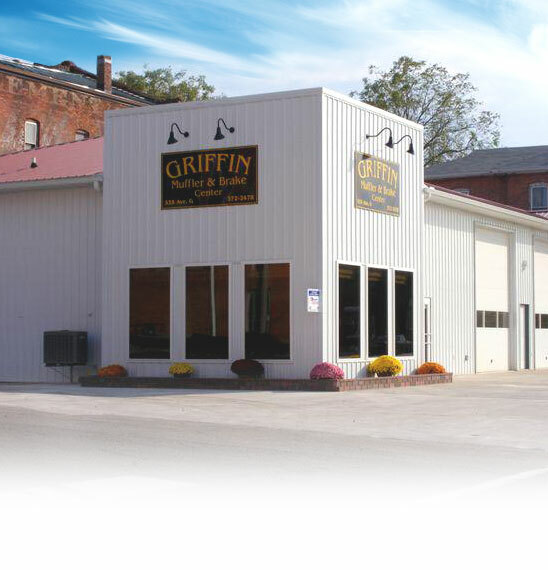 Welcome to Griffin Muffler & Brake Center, the trusted choice for honest and professional automotive services in Fort Madison, IA and surrounding areas, including Dallas City, Nauvoo, Keokuk, and Burlington. 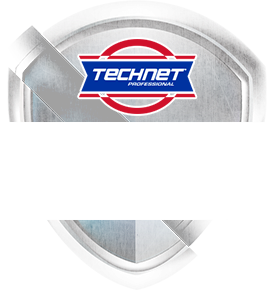 As a Tech-Net Professional Auto Service Center, we are committed to serving our customers with professional automotive service using quality parts backed by a Nationwide Warranty. We stand on sound business principles and uphold high ethical standards. Our goal is to help keep you and your family safe on the road. Our woman owned auto repair shop specializes in Domestic, European, and Asian vehicles and can perform any service or repair that your vehicle may need. We also specialize in custom exhaust work. Our shop staffs ASE certified technicians that are highly trained and experienced working on all makes and models of vehicles. We stand behind our work with an outstanding 36 months/36,000 mile Parts and Labor Nationwide warranty on repairs and services. Our Fort Madison auto repair shop has the latest, state-of-the-art equipment including alignment tools, computer diagnostic technology, wheel balancing equipment, and much more. We also offer a free shuttle service and a clean waiting room with free Wi-Fi and refreshments. 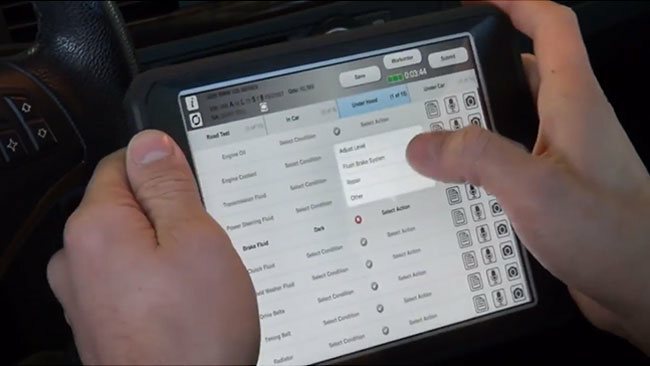 Our shop also offers free digital inspections, which allows our technicians to send your vehicle health report along with photos straight to your phone or computer. If you’re looking for an honest and friendly place to take your vehicle for service or repair, look no further than Griffin Muffler & Brake Center. We look forward to meeting you soon! Our technicians use Smartflow technology to identify and show images of recommended repairs. If we uncover an issue we will text or email a photo for your records. At the end of every visit you will receive a detailed report regarding the general health of your vehicle. Our #1 goal is to keep you safe on the road. 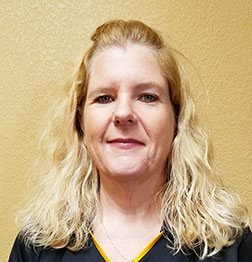 Nannette is the owner of Griffin Muffler and Brake Center and has over 22 years of experience total in the automotive industry. 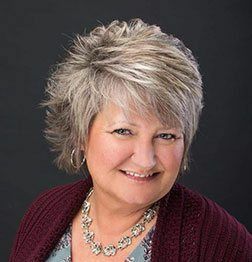 She started in 1985 working at dealerships and has learned every area of the business through this experience, from accounting to mechanical. As a young girl, Nannette was fascinated with cars, especially muscle cars, and how they worked. She loved to see the new technology every year that the manufacturers introduced with new models. She also enjoyed working with the public and sharing information on the new technology. In Nannette’s free time, she enjoys traveling, trap shooting, hunting, raising Labrador puppies, camping, Nascar races, and being outdoors. Nannette and Clark have a daughter named Caitlin. She has 3 stepchildren Michael, Matthew and Sara and 7 step grandchildren. Andrew is an A.S.E. Certified Technician with 10 years of professional experience. His passion for the automotive industry began as a child helping his father maintain his grandmothers classic car collection. In his spare time, Andrew enjoys spending time with his wife Jessica and passing down the automotive tradition to his daughter Avery. Matt is an A.S.E. Certified technician with 4 years experience. His interest in the automotive field started when he wanted to learn how to fix his own vehicles. After High School, Matt attended WyoTech and eventually joined the Iowa National Guard as a Generator Mechanic. In his spare time, Matt enjoys spending time training his 2 dobermans, Duke and Athena. Johnny was born and raised in Danville, Iowa. 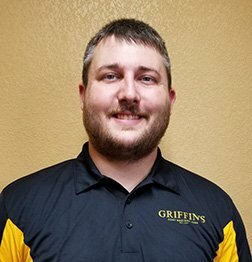 He has been in the automotive industry 4 years and graduated from Southeastern Community College with a degree in Automotive Technology. Johnny uses his previous car knowledge and experience as a technician to be an effective Service Advisor. His friendly and helpful personality builds lasting relationships with customers. In his spare time you can find Johnny at the park walking his German Shepard/Husky dog named Luna or at home playing computer games. Diedra, pronounced "Dee-ED-druh" has been a Service Adviser for almost 2 years. 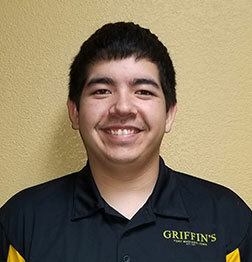 She started the job knowing basic car skills, but has since learned a great deal working for Griffin's and attending the Vision High Tech training and Expo held in Kansas City, KS. She loves learning something new everyday. Diedra currently is completing courses thru AMI to receive her Accredited Automotive Management designation. Diedra has been married 29 years and recently celebrated her anniversary with a trip to Walt Disney World Resort with their adult children, Victoria, Allie and Jonathon. She is part of a proud retired Navy family living in the area for 8-9 years. Diedra is originally an Oklahoma girl and says "GO OU"!